For the friend who flicks through trends faster than she can riffle through Vogue with her perfectly filed nails, cheap, pretty, boutique trinkets are best. Whether the fashion is urban safari or gothic glamour, you’ll be able to keep pace with her chameleonic style by seeking out low-cost costume jewelry from online boutiques. Even the supermarkets have started doing a good standard range of everything from kid’s bracelets to sterling silver earrings, so you can please everyone in the family as well! Getting into the Christmas spirit is all about how much you’re willing to participate. Highstreet craft stores have picked up on this and have begun stocking lines of beads, wire and tools, but really, you can find everything you need to get started online: between online component stockists and hours of YouTube tutelage, you’ll be an artisan jeweller in no time. If you’re shopping for someone a little quirky, the last thing you’ll want them to discover is somebody else wearing their jewelry. This is where Etsy comes in. With its lovingly handmade and curated vintage pieces, you’ll find that unusual hairpin, brooch or anklet as unique as the person you’re giving it to. Jewelry really does make a fantastic gift, especially when you find so many styles from around the world online these days. Whether your loved ones are into Native American fashion,Hollywood glitz or the latest trends from London, they’ll be a piece of jewelry waiting out there for them! Gift-giving is a great way to express appreciation, show love, and even buy affection. Giving someone a gift is supposed to be a selfless act; a way to please someone without expecting anything in return. A good gift is something that the recipient will enjoy using. Fragrant candles, cozy sweaters, electronic gadgets, and toys all make wonderful gifts, but at the end of the day they are all just things. They are items that will fill a drawer or perch on a shelf. Isn't there something more meaningful that one can give? Of course there is nothing wrong with giving a simple gift, but there is so much more that one can do. There is a vast need for many types of social and economic help on a local, national, and global level. Sometimes knowing there is such an enormous need can be too overwhelming, and one doesn't know where to begin. Thousands upon thousands of well-deserving and reputable charities exist which can make it hard to decide which one to support. Some people choose to support causes that have had a direct impact on their life such as cancer research or education enrichment. 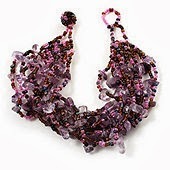 Others like to support causes that have a wide-spread impact such as supplying fresh water to third world communities. Giving financial support is just one way to support a worthy cause. Others who are not fortunate enough to have the means to donate large sums of money find much satisfaction in donating their time. There are dozens of way to spend time giving, especially on a local level. Volunteering at the hospital, in a homeless shelter, or in a nursing home are all worthy ways to spread kindness to the less fortunate. Other ways to give time is to work on a campaign, raise awareness for a charity, or organize a fundraiser. Spending time on an important project that benefits the greater good is quite fulfilling and can bring a person much satisfaction. Knowing that time was well spent on a selfless act does something special for the soul. Another way one can be charitable is to buy products or support businesses that give a portion of their proceeds to community projects or charities. More and more companies are realizing that they have a social and economic obligation to support worthy causes. By becoming a patron of these companies, one can be confident that their purchase will not only be meeting their personal needs, but that it will be paid forward in a kindness that goes beyond just buying something. An example of a charitable company that gives back to the community is Rosicki Rosicki and Associates NY. Their website http://rosicki-rosicki.blogspot.com/ outlines the various worthy causes they support financially as well as through other means such as spreading awareness. Many companies like this have made great contributions and do wonderful things to give back to the communities that support them. Being charitable goes beyond sending a check in the mail. It means putting heart, soul, and emotion into a good cause. It means spreading kindness, showing compassion, and taking responsibility to be a good citizen of the world. Anyone can be charitable, and those who are find a great satisfaction in knowing they what they could to be a good person. Finally, we were able to bring the kids to watch Disney on Ice. I have been meaning to let them watch it before but thought our youngest is still too young to remember it. But now that she is already 3 and loves Disney characters a lot, it is a good timing. So when there was an event last month at ShoWare center in Kent, Disney on Ice, Rockin' Ever After, we brought them there. They can't contain their excitement that even driving going there was taking forever for them They kept asking if we are almost to the place. Once inside the venue, the more they got so excited. When it finally started, they both were enthusiastic naming the characters that they saw. It is indeed a show for the kids. But honestly I was also anticipating it. I haven't experienced it in my childhood. I only had the opportunity to read them in books. The show features The Little Mermaid, Brave, Beauty and the Beast, and Rapunzel. These Disney heroes really made an impact on kids lives and our girls can't get enough of them. The show is really spectacular and all the performers did a really good job on the ice rink. Now we are looking forward to watch the live show featuring Disney Jr characters on tour. The girls can't wait for this January event. What else to give to the husband this Christmas? He already had a craftsman tools storage that I got for him for his birthday and this time I thought since he is still doing some organizing in our garage, a garage wall rack or some kind of a fishing rod rack is a nice gift for him. A wall rack would be appropriate also to hang sports gear, such as skateboards, surf board, his golf clubs and bags, baseball bats, bicycles and other stuff. 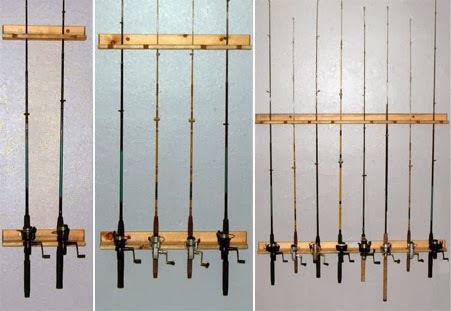 A friend of mine whose husband who loves fishing a lot, this fishing rod rack is a great idea to store all their fishing rods. I may have to recommend it to her as she is still looking for a gift for her husband this Christmas. 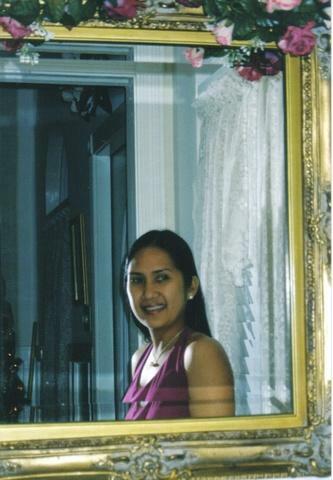 It's that time of the year again that we have to celebrate Thanksgiving and thanking the Lord for all the blessings we received and thanking Him as well for our family, relative and friends that surrounds us and supported us in times of happiness and sadness. This year and everyday I am always thankful for everything that comes our way. Thankful for the ups and downs that made us grow stronger everyday as a family. Same with the past Thanksgiving day, hubby is the one in-charge in the kitchen. He cooked everything and even had me and kids had breakfast in bed on that day. So thankful to have him and looking out for us all the time. We had our dinner at around 6pm and then I decided to go to Kohl's after 8pm that night as we don't have really any other plans. The Kohl's trip really made me dizzy afterwards. There was too many people and the line to the register was long. I only got few stuff for the kids that I wrapped and now under our Christmas tree. It was my first time to be out shopping on a Thanksgiving day and not sure if I am going to do it again next time. We'll see. One thing that I also like when checking out showrooms for house decorations is the lighting fixture. I do think that lighting really adds character to any rooms. May it be chandelier, table lamps, ceiling lighting, sconces, or floor lamps. This is why many designers also see to it that the lighting fixture of any rooms will compliment the room design to have a cohesive design and style, thus giving an overall nice ambiance of the room. I was browsing through different sites and was able to click here for Masiero lighting. Their lighting fixture are really of great quality and on top of the line which I am pretty sure will be used by top designers. 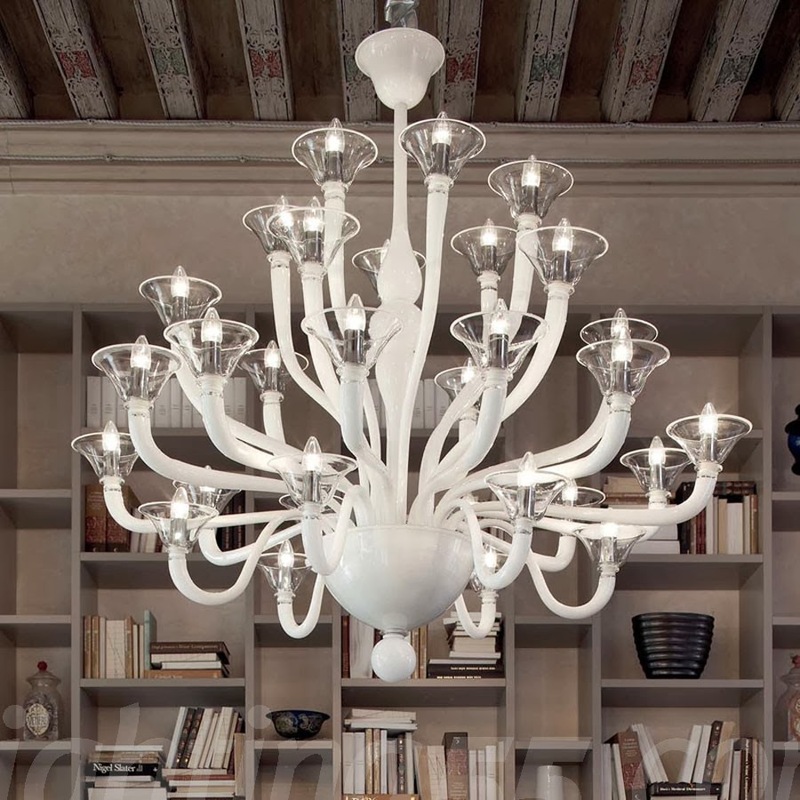 Their lighting where made by top glass maker and so intricately designed originated in Italy. 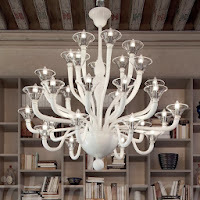 I won't be able to afford such kind of lighting fixture, but I really love its style and how it is made of. If I have money and renovating our place, this type of lighting fixture is what I would like to have for our place. We are now in the last month of the year and I wonder where did the days go. It came so fast and the holidays is now here again. Couple of days before Thanksgiving we had our Christmas tree up. It's due to our kids coaxing that we decided to have the tree up. Usually we do it after Thanksgiving. But anyways, this year I chose the silver and blue theme. I was thinking of buying a new artificial tree, a flocked one, but decided to wait after Christmas coz I know it will be on sale for 75% off when the holiday is over. I can use it next Christmas then. For the decors, we bought ornaments from Big Lots, Walmart, and I have stocked up silver ornaments from last year that I bought from Kohl's. Our girls helped in putting up the ornaments and we had fun decorating it. I still think of buying more blue colored decors when stores have their sales going on. Stocking up on decors for next year is a great way to save money.